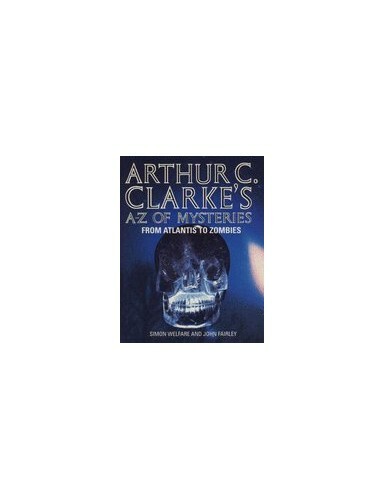 Gives the mysteries enthusiast all the facts, all the evidence and all the theories about 100 different "classic" strange occurences, and leaves the decisions to the reader. Sometimes the most likely explanation is fairly obvious, at other times it could be anyone's guess. Everyone loves a good mystery, and the theories offered up to explain them are often as intriguing as the mysteries themselves. Take the case of "Satan's footprints" - strange footprints in the snow which caused panic in Devon in 1855. Was it the devil? Or could it have been a kangaroo? A bird? A hoax? The weather? for any theory for any mystery there is always evidence for and evidence against. How can people know which explanation is the closest to the truth? This latest offering from Welfare and Fairley gives the mysteries enthusiast all the facts, all the evidence and all the theories about 100 different "classic" strange occurences, and leaves the decisions to the reader. Sometimes the most likely explanation is fairly obvious, at other times it could be anyone's guess.